Hublot have made big strides in recent years to establish watchmaking credibility as a counterweight to its heavy-hitting celebrity power. Regular nominations in various GPHG categories – across womens and mens watches – have been a meaningful benchmark for progress, and new crowd-pleasers, such as the delightful movement architecture of the Meca-10, have opened up a fresh conversation with watch lovers about what wearing a Hublot actually means in the modern day. 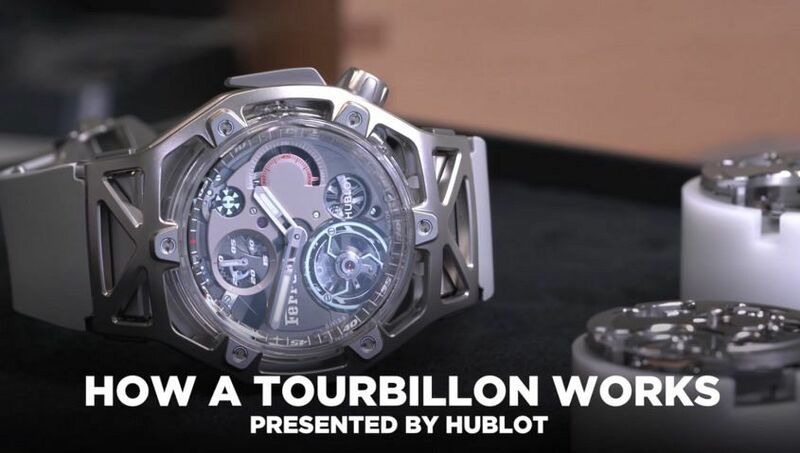 To this end, when we were invited to the manufacture in Nyon to better get to know the brand, we were immediately interested in the High Complication Department and thought we might use its expertise to get inside the cases of some of the most popular, desirable and useful complications that Hublot offer. So, prepare yourself, we have a little three-part miniseries coming your way – each honing in on a complication. But rather than telling the story from A-Z, we get quickly down to business and isolate each complication’s idiosyncrasies. In this video, it’s the tourbillon cage itself on a watch that takes roughly 10 times longer than a Hublot Unico chronograph to construct.